This month’s heat may break this weekend here in Vermont; and welcome cooler temperatures will (of course) inspire us to cast on for autumn knits. Our annual trip to the New York Sheep & Wool Festival in mid October has a few of us planning our Rhinebeck Sweaters. And that has all of us eager to cast on with Weekend Wool. The Spinnery’s worsted weight 2-ply 100% wool yarn makes wonderful sweaters. Our palette is a joy to play with. A terrific pattern that can give you some practice with stranded color work (and steeking) is Maureen Clark’s Putney Mountain Vest. This garment is perfect for early fall outings when just a touch of extra warmth is welcome. 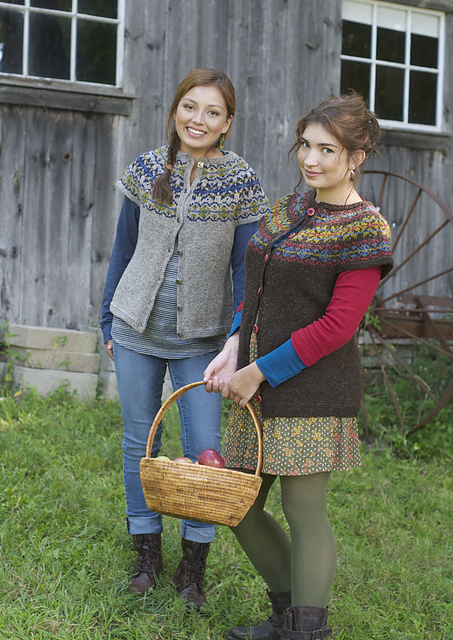 For something a bit cozier, you might want to consider Maureen’s Turning Sideways or Duncan patterns. These two cardigan patterns offer interesting challenges: the former is worked sideways from cuff to center, and the latter is a lushly cabled fisherman’s sweater with pockets that we adore. But you don’t need to be a sweater knitter to find a perfect project for this lofty heathered yarn. We have pattern ideas that will cover you from head to toe with Weekend Wool! Thea Colman’s Glenfiddich or Amy Christoffer’s Mary Ann Hat are terrific hat patterns for your holiday knits. Skeindeer Knits’ Speedy Selbu Mittens featured here last week call for just 2 contrasting skeins. And 0ur Ascutney Mountain Boot Toppers can be knit up with the same yardage. Or, if you prefer the idea of really cozy winter socks, you might want to consider IBH’s Toasy Socks for a classic pattern that never disappoints. 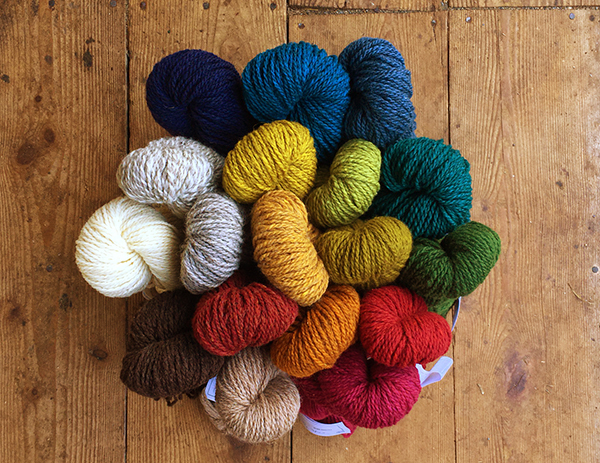 And now is the perfect time to select your skeins. Until the end of the month, the code Weekend15 will provide you with 15% savings at checkout! We hope that you enjoy the beginning of your autumn knitting season as much as we plan to. Previous Previous post: A mitten for every month!